As what is normally expected in every house or I guess even in other commercial buildings, the main entrance always makes a statement. This is the reason why home and building owners usually invest a great amount of money to make their main entrance a head turner. If you are able to capture the attention of the by passers, chances are, you successfully create a positive first impression. One way of creating a positive first impression is to install a unique front door design.A door is considered as the most essential and functional part of our homes. Stylish, elegant and attractive doors give a warm and cozy look to our homes. 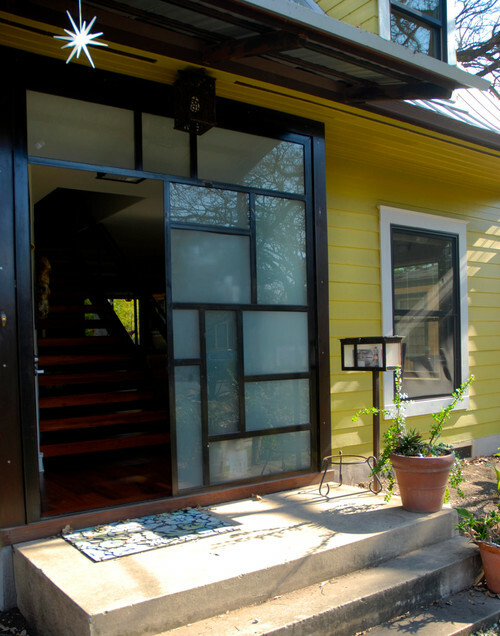 A beautiful and attractive front door displays a good image of the entire house. There are lots of materials used for front doors and as a home owner you have to choose the one that offers a long lasting and low maintenance features. Most front doors that I've seen from lots of homes that I've visited are made up of solid wood. 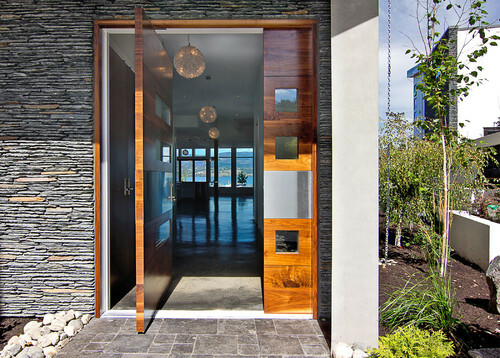 A wooden door is usually the top choice of every home owner as it provides a warm, cozy and natural look to the house. It is also believed to be a durable item, easy to install and provides an excellent security for the home. 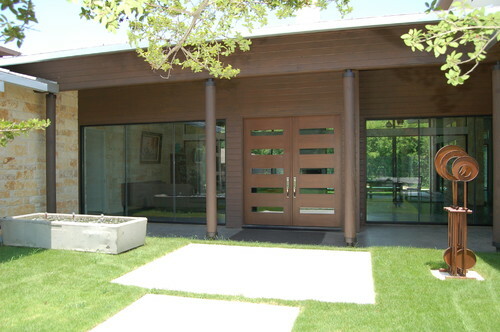 Although, wooden door is usually the most common choice, other door designs made of other materials such as steel, fiber glass and aluminum are also a great choice. 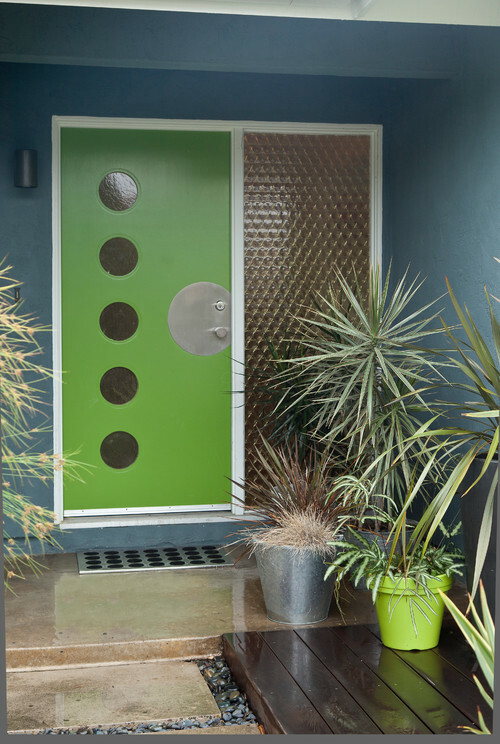 The following are some gorgeous front door designs. Take your pick! Those are beautiful. How I wish to have one door maybe someday. My first pick is the first photo, but as I browse the other pictures I realizes that I love them all. For the material,I love the wooden door, coz it gives a rustic feeling. Love the green color in the first style, so refreshing. the last photos of the door looks fantastic to me!! its not a lot of houses using unique designs though photos above looks amazing! very unique design, I like the first one and the last photo among the photos you've shared. These front doors are greatly unique and classy! Nice design but seems bulgars and robbers may have an easy time breaking in. They are all amazing! I can't even choose. they are lovely looking doors, you have chosen so well...I always admire your eye for detail, galing! :) last two photos for me, either of them will make me happy already. have a great week. Oh I love them all! Great designs! Simply elegant.